THIS BLOG IS HOSTED BY COLOURING IN CULTURE. YOU CAN POST HERE BY USING THE CONTACT LINK AND ENCLOSING YOUR TEXT AND IMAGES OR A LINK ELSEWHERE WITH A NOTE ASKING TO RE-BLOG. This is a blog first posted by Stephen Pritchard on June 22, 2014. What can the arts learn from football? A lot about developing a connected culture in which children, amateurs and professionals see clear links and participate/ spectate on every level, Nina Simon wrote recently. The world of football is similar to the arts in many ways: taking part, audiences, celebrity and anonymity, economic and intrinsic benefits/ values, large costly buildings and jumpers for goal posts, health and wellbeing, and more. Oh, and let’s not forget finance: public subsidy and big business sponsorship. There’s also, at the ‘top level’, The World Cup and Venice Biennial. Lots of similarities, then. Not all good. What football does well is undoubtedly present a cultural phenomenon that is accessible at every level. A sport where even the premiership elite are, well, not really that elitist. A game where kids playing in a back lane or park and blokes with hangovers kicking each other as much as the ball are respected. Professionals regularly going into schools for training sessions and awards presentations as well as helping smaller clubs and amateurs fund raise. Football can also be ‘viewed’ live in world class stadiums or patchy local pitches and watched on TV at home or down the pub. Yes, costs of attending a premiership game are prohibitively high for many people; as is a subscription to Sky Sports. But anyone can take part and you don’t hear accusations of amateurism or that’s ‘not football’. Some may say, ‘football is different from art’. Of course, on one level, this is true; yet, on another level, the two activities are similar, essential aspects of our lives. Like football, the arts are engrained into our daily existence – whether ‘high’ or ‘low’ arts. They both have tiered, hierarchical structures too. The problem is that elitism in the arts means that people taking part in the arts at different levels are perceived of very differently – from billionaire art buyers to attendees of exclusive theatre to student art shows to people sitting watching Corrie. Artistic excellence is paramount at almost every level for many in the arts. It is the winning, not the taking part, that matters. There is little space for amateurism, volunteering (except as ways to keep wage bills down), or even socially engaged arts practice. These are the realms of ‘not arts’ to many within the arts elites (for they are plural, legion). Yet, ‘amateur’ art, art in schools, community art, voluntary art, social practice, etc. offer great experiences and pleasure to many people. The problem is that there is little option for progression (for many) and derision lurks everywhere. It is therefore essential that we remember that the arts too were once much more connected to life; less elitist than is the case in our present cultural milieu. Artisans were performers and producers, an integral part of everyday life. Festivals were commonplace and many people who may now feel disenfranchised by much of ‘the arts’ today took part. They were key events in the yearly calendar for everyone in communities – they had special meanings and marked special times. Streets and markets were often venues for free theatre and, even when theatre buildings opened, the ‘groundlings’ still formed a substantial sector of the audience of many Elizabethan plays. Sports, like rugby and football, were also integral to the lives of many people. Our neoliberal consumer society today often forgets its past. So too does much of our contemporary arts world. But sports, like football, tend to hold closer ties to their histories as integral to their on-going narratives. The darker side of the arts and football (and many other areas of our contemporary lives) is undoubtedly philanthropy and sponsorship. This is not to say that all giving is bad. It is just a warning of the dangers of ‘tagging-on’ brands to activities for purely commercial gain or, worse still, to deliver marketing messages that directly conflict with the activity being ‘supported’. 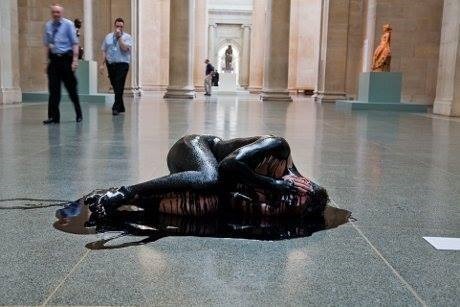 This will be a topic for another post so, for now, let’s just consider BP’s financial support for Tate and The British Museum or tobacco sponsorship of artist residencies in the Caribbean or investment bank and 2008 financial crash ‘Titan’ Merrill Lynch’s project with Tate aimed at regenerating local areas and making places safer. This type of activity is all about ‘realising corporate responsibility outcomes’ – something Arts and Business are promoting heavily as a means to increase philanthropic giving to the arts at the moment – but it mires the arts in corporate complicity. This is different from professional football’s out-and-out clear marketing-for-money deals, not to mention the often essential small-scale sponsorship of local amateur teams by local small businesses who are happy to support their team in return for a little extra local exposure. However, football sponsorship can be dangerously unethical too. Think about the World Cup 2014 with big corporate sponsors including Budweiser, Coca Cola and MacDonalds. The message: play or watch football – drink alcohol and fizzy drinks and eat unhealthy food. Or Wonga and their shirt sponsorship of Newcastle United – buy your season ticket and pay for it with a thousands of percent loan you might end up never repaying! The danger for the arts is that, not only will the ethical and moral concerns about current big arts sponsors affect the independence and critical essence of the arts, but the drive for philanthropic giving may lead to Wonga sponsoring participatory art projects in ‘disadvantaged’ communities, etc. Nonetheless, forgetting the similar drives for both the arts and football to become increasingly commercialised (at least at their ‘top’ levels), there are, perhaps, lessons the arts might glean from football. It has retained its grassroots up appeal and ethos. Think of (local Toon legends) Gazza, Peter Beardsley, etc. They, like many other people who managed to become professional footballers, had difficult upbringings but became famous (not always just for footballing achievements). They started out playing at school; they were encouraged by sports teachers and (sometimes) parents. 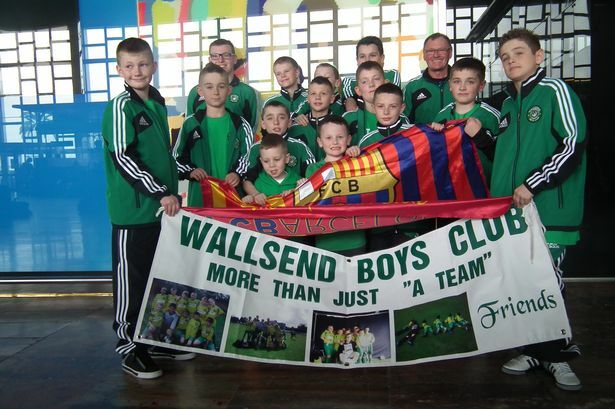 They were developed in volunteer-ran ‘boys clubs’ with little funding but loads of commitment to the young lads having a chance in (footballing) life. Professional clubs went there to find ‘new talent’. The professionals paid their dues, coming back to help raise money for the clubs and to help train new generations of possible future pros. Even those who ‘didn’t make it’ still found new friendships and enjoyment in taking part and trying; some stayed to volunteer to help keep the clubs running. If only the same thing could be said about much (not all) of the fractured ‘arts world’ in the UK right now. As Nina Simon pointed out, until fifty years ago soccer was derided in the US – now it is a sport that is increasingly becoming an important national game. It built itself up through grassroots engagement and commitment to accessibility for all. Perhaps we in the UK now need to think seriously about rebuilding the arts from the roots up? This post is by Jonathan Petherbridge, Creative Director at London Bubble. Jonathan is looking for feedback and ideas for a really interesting idea for future small-scale Community Theatre Residencies. I suspected that this would be the least popular of the 3 conversations going on this morning, as the other rooms are offering more dramatic debates either about recent NPO funding decisions, or the fallout from past NPO decisions. But let the few of us here console ourselves with the realisation that while they debate the world as it is, we are debating the world as it might be in the future. Well, to be more accurate if the Theatre Ecology is likened to a garden they are talking about trimming a hedge or moving a shrub, while we are talking about planting some genuinely new seeds. The majority of tax payers do not attend the theatre. If they think about theatre they think of a building - A Theatre - probably with a stage, on which actors speak another person’s words, while people sit in the dark and listen. But that is not Theatre - what it is, is one way of delivering one type of theatre. But Theatre is in essence, something that is created between people, in many places and spaces, in many forms and for many reasons. The real enjoyable thing about theatre, and I may be divulging a secret here, is the making of it. As well know, from the time we are children, the empowering, heady and collaborative act of theatre making is addictively exciting. And underpinning this proposal is the idea that perhaps more people would support theatre if more people were involved in making it. So the idea I am championing is that ACE is asked to ring-fence some Lottery money to support Community Residencies. To allow theatre makers to work in settings over a period of time, to encourage and support people to make theatre. I did some research on Artists in Residents, and it was interesting to compare Playwrights residencies to other art forms. Googling, I found Resident Playwrights at the Lyric Hammersmith, with Paines Plough and at the Soho Poly - all the Residencies seemed to be with theatre buildings or existing theatre companies. Poets on the other hand have been resident in a Church, at Glastonbuury Festival, on the Great North Run and at Bristol University. Googling artists you find (and these are all taken from the first page), an Artist in Residence at Claridges, another Artists at a shopping centre, and then there’s MI6. Yes, artists James Hart Dyke spent at year painting and drawing the goings on at MI6. But what do they do ? Well, the Bristol University Poet, a man called Andrew Jamieson, runs student workshops from 4.30 to 7 on Wednesday, offers consultations between 4.15 and 6.15 on Fridays, gives Public Readings of his work and organises showcases for other poets to present their poetry. Could this work for Theatre Makers ? Could a theatre makers run workshops, offer consultations, show their work and arrange sharings of other work ? Well I think we have the workforce - the writers guild/theatre writers union has 2,500 members. Equity has 36,000 members and emerging from the 204 drama courses in the country are at least 1,000 graduates a year who are going to try to make theatre, somewhere. And of course there are places - 146 prisons, 223 Hospices, 3,000 libraries, 33,000 schools - and then of course there’s MI6. I came across some visionary people who are involved in running sheltered housing schemes and care homes for the elderly and who are calling for an Artist in every setting - deploying art to make meaning of life and to nurture the wellbeing of both patients and staff. That door is ajar and waiting for us to push on it. So what are the gains ? Well employment for artists obviously, but also the long term political effect - a good news narrative for politicians to deliver and a direct connection to people who might never otherwise encounter theatre. But also, and this is what interests me most, the opportunity to create new theatre, with new theatre makers with a new aesthetic. And what might be the blocks ? There is a training and support requirement, but the knowledge and experience is already within the sector. Then there’s money obviously - and this shouldn’t only be for ACE to solve - I think ACE should require those who are interested in partnering with a resident artist to pay a small proportion of the costs - say 10%, to demonstrate their commitment. But this could be a low cost quick win for ACE - 700 residencies at 10k each, would cost £7 million. The Grants for the Arts budget is currently £70 million a year. Think of the impact of 700 residencies. Even half that would change perceptions. But the other block is the sector itself - are we willing to give up our secret, are we willing to suspend quibbling and whispers of “it’s not art” ? Are we able to consider - no, to allow, other - non building, non script based forms of theatre ? This proposal invites us to broad-cast some new seeds in the garden. Some will of course die, some will be eaten by slugs. But some will flourish. Jonathan Petherbridge, Creative Director, London Bubble. PS Please respond with questions, challenges and/or support for this idea. Fin and I are planning to meet with ACE in September.